For those who know me, I try to avoid traveling as much as possible. It’s simply too difficult and stressful to leave my haven (and household staff) in Jakarta and globe hop with three young kids. 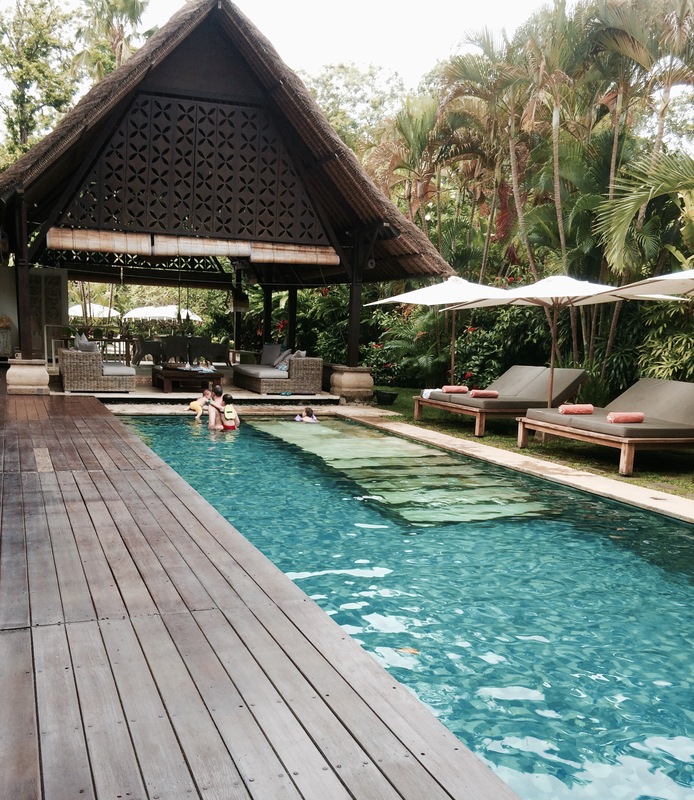 Last week however, we spontaneous decided to go to Bali during school holidays. We literally had 1.5 hours to pack and leave for the airport! I’m surprised we even pulled it off, considering my nanny wasn’t even there to help me! I’ve been silent for a while and the main reason is that I’ve been having an incredibly difficult time in Jakarta. Ever since our return from our vacation in Australia, three months ago, myself and all three kids have continuously been sick. It’s been an endless episode of fevers, coughs, tests, nebulizers, antibiotics and trips to the Doctor. During my lowest point, when I had a flu and was bed ridden for 5 days, we coincidentally had to fly out of Indonesia to renew our visa. This came at the worst possible time because I felt so weak, was in pain and couldn’t imagine having to fly with three young children as well. 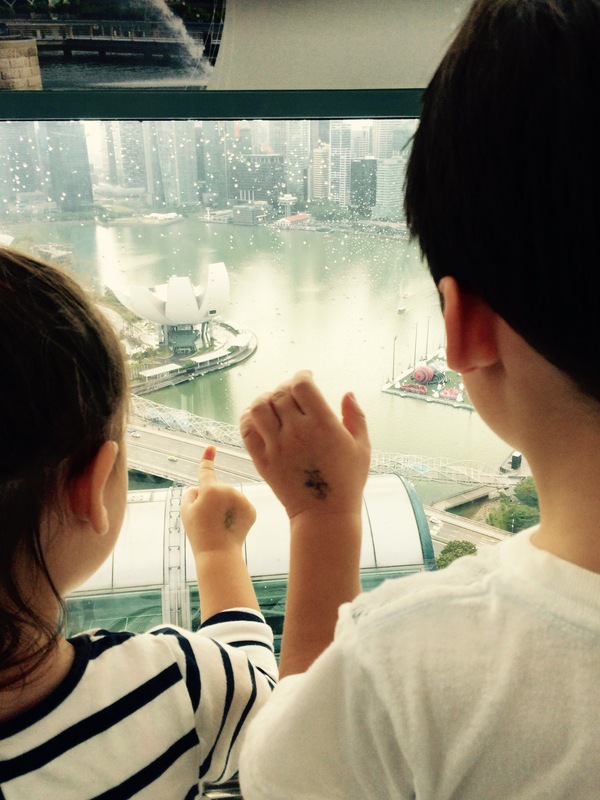 It then got worse with my two youngest kids falling ill when we arrived in Singapore. Miss 2.5 was so sick, the Doctor wanted to hospitalize her! I thought my head was going to explode from the stress! But, like all mothers in this world, my super powers kicked in and I took care of my family. We all finally recovered towards the end of our trip and had a few days of walking around Singapore to enjoy everything that the beautiful island has to offer. I have to tell the complete truth here. This was the first time that as an expat housewife in Jakarta that I actually didn’t want to return to Jakarta. Having previously lived in Singapore, it just felt like home to me. I met up with old friends and when you are an expat, there really is no better feeling than seeing old friends again. It makes me feel like I belong somewhere and the home sickness goes away. I feel like I’m ‘normal’ to have a friend that I’ve known for a longer time than the term of our current expat assignment. Singapore was also easy in the sense that I already know the country and how it works. I understand the culture and the system. Know which shops to go to and what food to eat. I knew where we could walk to and where we could play. All of this made me feel so warm and safe. I never feel threatened in Jakarta. That’s not what I mean at all. It just feels natural to be in a city that you’ve already lived in versus the feeling of settling into a new city. Mind you, I’ve been in Jakarta for three years now but I’m still learning my way around this big city! Every time I move to a new country, as an expat, I get a little bit more exhausted. I feel like I’m diving further away from who I was, (which isn’t necessarily a bad thing because I’ve grown so much with this experience) but I feel like the old me is slowly slipping away. It’s hard to explain and I’m trying to process this myself. The only way I can truly explain is that I miss the old me. I miss being in my comfort zone and I miss stability. This expat adventure is so exhilarating but at certain times can also be so soul suckingly challenging.